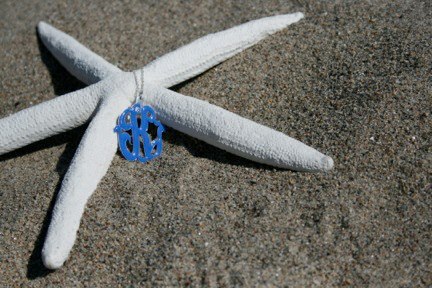 Fun, personalized jewelry for summer! Summer is all about bold, vibrant colors and fun laid back style. So why not have a blast with your jewelry selections, too?! 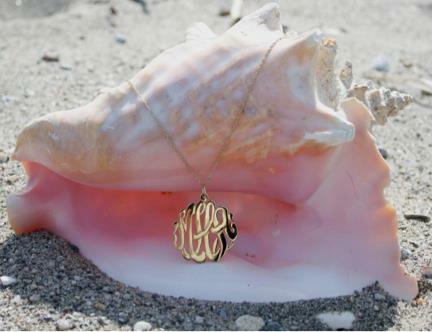 Connecticut-based Initial Reaction has taken the popularity of their monogrammed jewelry and added a fun twist for the summer – the a fully customizable version of the acrylic, cut-out monogram and nameplate collection. Tastefully trendy accessories for tweens, teens and ladies. Choose from a variety of bright colors –like turquoise or purple, and even lime swirl. It may be difficult to choose between the whimsical script monogram, funky block monogram or simple nameplate because each style is so unique and fun to wear. Made in the USA. Since 2002, Initial Reaction has earned a reputation for classic designs and quality craftsmanship. The stylish line of accessories includes engraved pendants and discs, necklaces, earrings, rings and bracelets that are handmade right in the United States, featuring metal, acrylic and enamel cut-out monograms. Initial Reaction offers uniquely personal gift options for weddings and bridesmaids, birthdays, graduation –any special occasion, or simply a day at the beach. Recently featured in O, The Oprah Magazine, Initial Reaction jewels are sure to enliven any summer look. Another ChicExecs PR client! Children’s Retail Today publishes new posts on Tuesdays, Wednesdays and Thursdays. If you want to get the word out about your innovative, imaginative and inspiring products for children, contact me today!